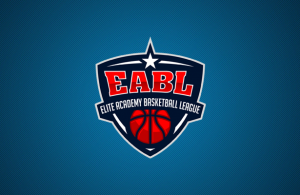 The week 16 action of the EABL saw 8 teams match up as the January campaign comes to a close, with Canterbury, James Watt and Oaklands picking up some solid victories! Oaklands College defeat BHASVIC 79-56. BHASVIC jumped out to a great start and showed their potential by going on a 8-0 run early in the game led by the shooting of Lee. Oaklands College talented trio of Luke Murphy, Darren Ainembabazi and Tashinga Chawira responded quickly and contributed 2 points each to go on a 6-0 run of their own. BHASVIC continued to compete on the score board led by Lee, Last and Hayward. Eventually Oaklands were able to take control of the game through the shooting of Ola Olanrele who shot well from behind the arc to finish with 15 points and also had 6 steals, whilst being supported by Abdul Wurie who contributed 10 points. Copleston Sixth Form were the comfortable winners in their Wednesday afternoon EABL contest as they took on SEEVIC College at the Copleston Centre. Copleston flew out the blocks with a 15-0 start, after the strong half-court defence and impressive offence in transition. Copleston would finish the quarter 34-17 ahead and though SEEVIC would steady the ship to indeed win a low scoring second quarter, Copleston were never in trouble of losing the game and put together multiple runs in the second half to secure the 97-51 victory. 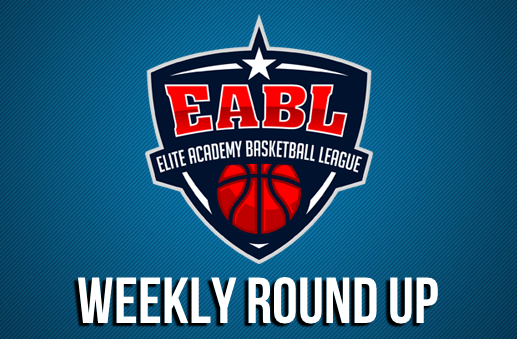 Veron Eze led Copleston in scoring with a big 29 point outing, while Ethan Price, who was the tallest player in the court and fresh off a player of the week performance last week, added 24. The Copleston first year pair have impressed throughout the year and will be a key component to Copleston’s ambitions of a late season playoff push. Canterbury Academy picked up an important win over Alec reed in Play-offs run. The visitors jumped of the blocks with quick starts fuelled by a quick 11 points from Morrell (three 3-pointers). Alec Reed tried to respond after a time out taken by coach Szatkowski, but the home team still played poorly on defence which Canterbury took full advantage of by taking a commanding lead at end of first quarter 25-10. The second quarter saw the away team putting their performance into next gear and pulling away with safe 53-29 lead. The host team responded by coming out of the changing room with much improved energy and reducing the lead to 16 points, but great shooting from outside the arch saw visitors pulling away again. Alec Reed regained scoring touch in the fourth but it was too late, as Canterbury claimed the very important 105-78 victory. Itchen College were able to use a second half run to pull away to a 90-64 against CoLA. It was a slow start offensively as both teams set the tone on the defensive end. Louis Norton responded in timely fashion scoring 5 of his team high 16 points to keep the visitors within touching distance going into the half 33-29. Out of the half time break, Itchen were able to extend their lead behind a balanced scoring attack from their starting 5. An emphatic Peter Turay dunk would open the fourth and after a minute of trading scores, Itchen would blow open the game taking an 18 point lead. Louis Norton and James Hamilton kept the pressure on the home team but it wouldn’t be enough as Itchen ran out winners 90-64. 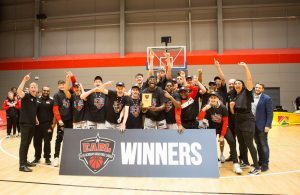 Barking Abbey were made to work hard for their 10-point victory on Wednesday afternoon but they came away from Reading with a 68-58 win behind Robin Bedford and Jonathan Brown’s 16 points apiece. The first five minutes of the contest were a very close affair as both teams looked to get a hold in the game and this remained right throughout the first quarter as the visitors to Reading took a two point advantage into the second, leading 14-16 after ten. JMA came out firing in the third quarter and held their first and only lead of the game after three minutes at 35-34. The league leaders duly responded and a 10-0 run followed as Barking led 35-44 midway through the third period. JMA kept fighting but faced an eight point deficit heading into the final quarter with the score 42-50 in favour of Barking. Barking extended their lead to 14 with five minutes of the contest remaining. An Arinze Emeka-Anyakwo three pointer gave the hosts some hope with three minutes left with the score at 54-64 but JMA then missed four consecutive free throws as Barking kept their 100% record in tact and took the win 58-68. James Watt defeated Sheffield College 108-75 on Wednesday afternoon. The first quarter was even for the majority, with both teams scoring at will as little defence was being played. James watt stepped up their defensive pressure and were able to smother Sheffield, causing tough shots and forcing turnovers to end out the half with a score of 51-28. James Watt were totally in control in the second half scoring 36 points in the third quarter to Sheffiled’s 16. In the final quarter, Sheffield played with more freedom and increased their defensive pressure creating many turnovers while also connecting on four, 3 point shots from J Wright and H Becc, both being Sheffield College’s best performers in the night. Sheffield college went on to win the quarter scoring 31 to James Watts 21. 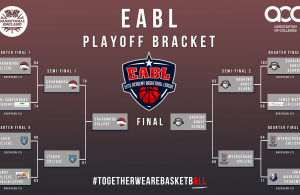 Despite Bradley Kaboza’s team-high 19 points, Myerscough saw its six-game EABL win streak come to an end in a 89-78 defeat to Charnwood on Wednesday. Amari Williams added 17 points and Callan Low had 13 to go with three steals for Myerscough (9-2), who shot 42 percent from the field. Charnwood then opened the game on a 13-5 run before extending its lead to as many as 23 points. Myerscough chipped away a 46-28 halftime deficit before Callan Low’s 3-pointer cut it to 68-60 with six minutes left, however Myerscough would get no closer to the Charnwood side. Derby Trailblazers took the spoils in their EABL contest, winning each quarter on their way to a 90-64 triumph against SGS. However, SGS made Derby work for the win, and despite going 9-0 down in the first two minutes they showed their battling spirit from the get go, narrowing the deficit to 24-21 at the end of the quarter with a Molyeuik buzzer beating 3 pointer. For Derby, Mutemasango hit his first 3 shots from behind the arc in the opening minutes to help the Trailblazers start well. Derby took further control in the second quarter as Matimba, Bowman, Ptak and Essel-Jaji all connected during a pulsating 17-3 run which included several steals and a couple of dunks from Bowman. Charlie Brown once again hit double digit assists, he had 7 by half time as the Blazers took a 48-32 cushion into the break. Although Derby continued to pull away slightly though out the second half, it remained an intense and hard-fought game for the full forty minutes. In the end Derby came away with the 26 point win to complete the victory over SGS in the EABL Week 16 action.